In a book that blends anecdote with analysis, Kathleen Hall Jamieson, author of the award-winning Packaging the Presidency, offers a perceptive and often disturbing account of the transformation of political speechmaking. Jamieson addresses such fundamental issues about public speaking as what talents and techniques differentiate eloquent speakers from non-eloquent speakers. She also analyzes the speeches of modern presidents from Truman to Reagan and of political players from Daniel Webster to Mario Cuomo. 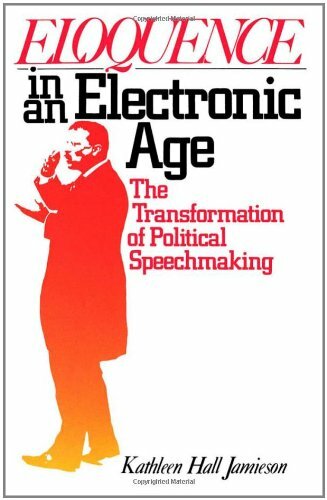 Ranging from the classical orations of Cicero to Kennedy’s “Ich bin ein Berliner” speech, this lively, well-documented volume contains a wealth of insight into public speaking, contemporary characteristics of eloquence, and the future of political discourse in America.